MAXIMUM POTENCY 20 BILLION CFU - Each Easy to Swallow Capsules are filled with the highest quality viable bacteria at 20 Billion CFU per capsule, and with an 8 strain Complex you can rest assured that you are purchasing one of the best products on offer. 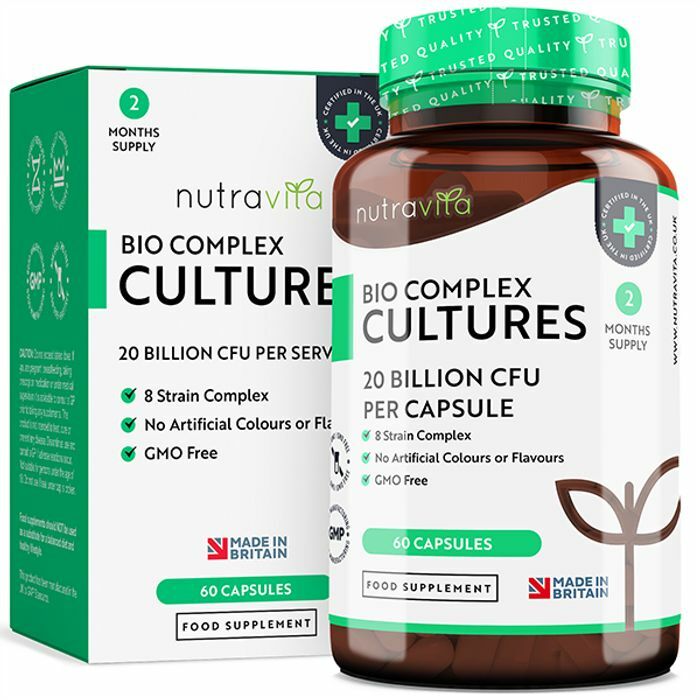 HIGH PURITY & HIGH POTENCY - Nutravita's Bio Complex Cultures Capsules contain No Artifical Colours or Flavours. Nutravita's new Bio Complex Cultures provide contaminant-free, pure ingredients. Free from Gluten, Free from Lactose and Free from Nuts. GMP CERTIFIED & GMO FREE - All Nutravita products are formulated & made in state of the art manufacturing facilities in the UK. Operation to the GMP Standard and BRC accreditation Grade A for Global Food Standards. BUY WITH CONFIDENCE - Nutravita is a well-established UK brand, trusted by customers all over the World. Everything we manufacture is made right here in the UK using the highest purity ingredients and safeguarded by the highest manufacturing standards in the world (GMP & BCR). I managed to get the code sent to my email.. Great stuff.. Thanks for sharing.